A few days ago, unboxing videos of iPhone XS and iPhone XS Max went love on YouTube. While a lot was detailed in the videos, we were anxiously waiting for Apple Watch unboxing videos to hit the platform. Now, we have got our eyes on what is included in the box and how Apple has seen fit to package its new Apple Watch Series 4. Let’s dive in to take a deeper look at the unboxing video. 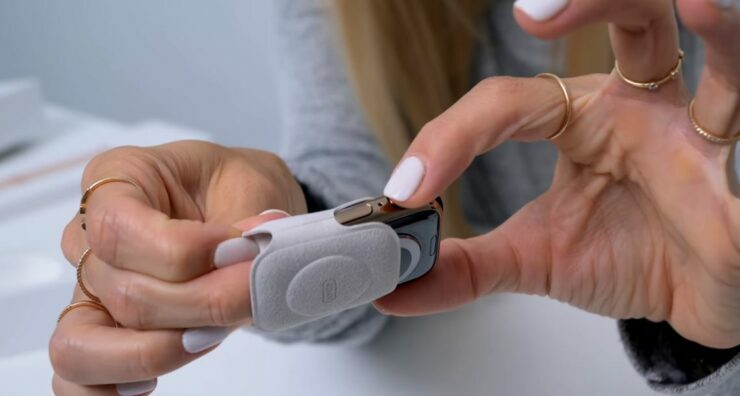 The Apple Watch Series 4 comes in a brand new packaging style – different from what we are used with the previous iterations of the smartwatch. There are two finishes of the Apple Watch Series 4, Stainless Steel and Aluminum. The pricier Apple Watch Series 4 with a Stainless Steel chassis brings a new Gold color with a matching Milanese Loop along with a Lavender Sport Band and the Hibiscus Sport Loop. The first unboxing video comes from iJustine who unboxed the Gold Stainless Steel version. This time around, instead of the square box for the Stainless Steel Apple Watch, the company decided to go with a rectangular box. The outer packaging opens up and reveals the Apple Watch artwork in different models and colors. There are two boxes stacked together- one with the main product and the other housing the watch band. Inside the main box, you will find the Apple Watch Series 4 placed inside a sleek protective fabric sleeve. Other than this, you will also find the charging brick and the charging cord along with paperwork. 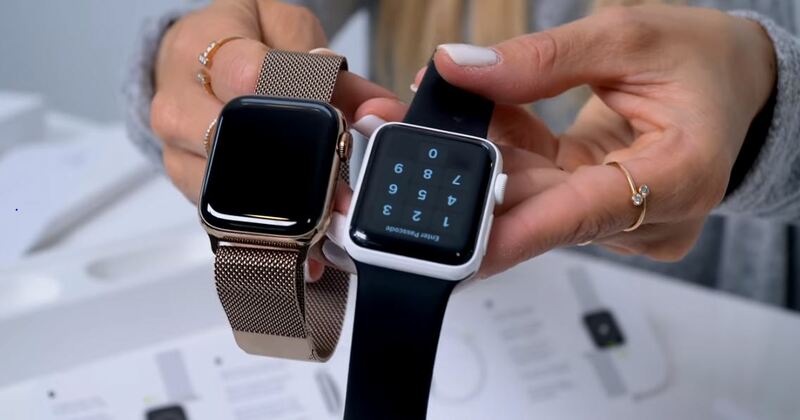 In the second box, you will find the matching Milanese Loop. iJustine unboxed the 40mm version, if you’re interested in the 44mm Apple Watch Series 4, check out YouTuber Emkwan’s unboxing video. If you want to go with the Aluminum Apple Watch Series 4, Spanish YouTuber Victor Abarca shows in his unboxing video, the 40mm Space Gray version. The packaging is same as that of the Stainless Steel version. The small protective fabric sleeve is also added in the Aluminum model, so that’s a plus. It’s good to see that Apple has decided to go for new packaging. It makes sense as the new model boasts a revamped design so the company wants you to have a completely new experience. The Apple Watch Series 4 will be available tomorrow on September 21. There will be more to the story, so be sure to stay tuned in for more details. What are your thoughts on the new unboxing videos of the Apple Watch Series 4? Let us know in the comments.